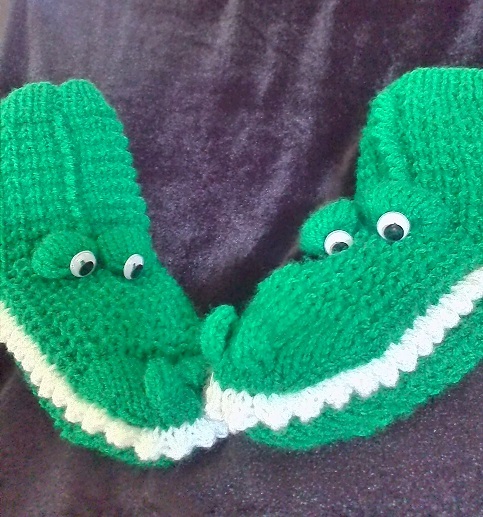 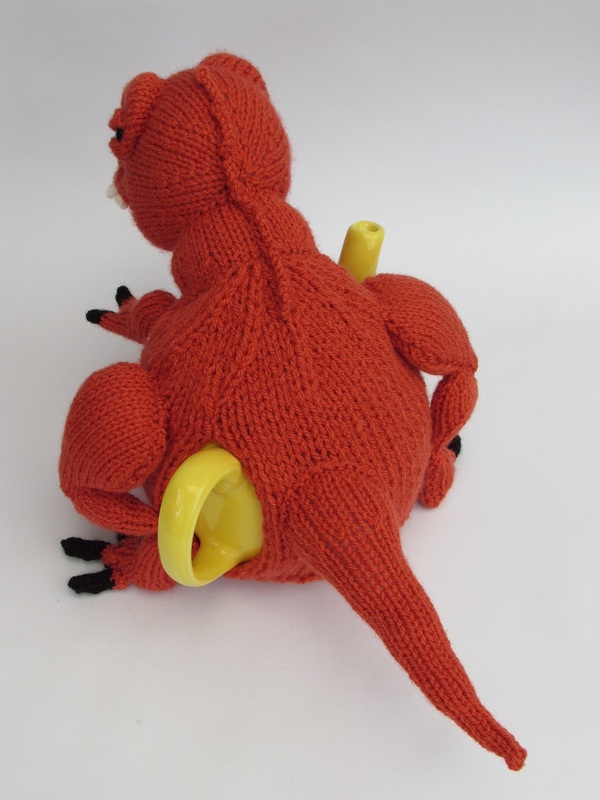 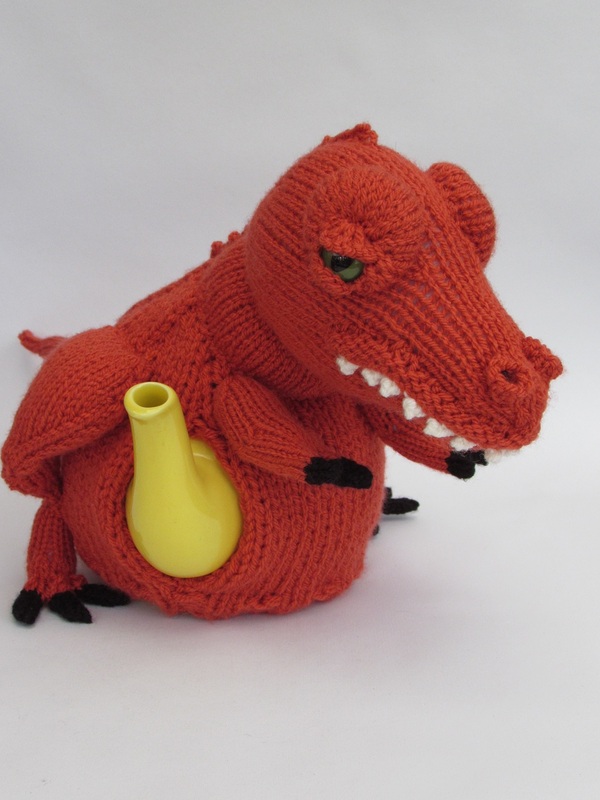 The Tea-Rex tea cosy is perfect for those people who love Dinosaur. 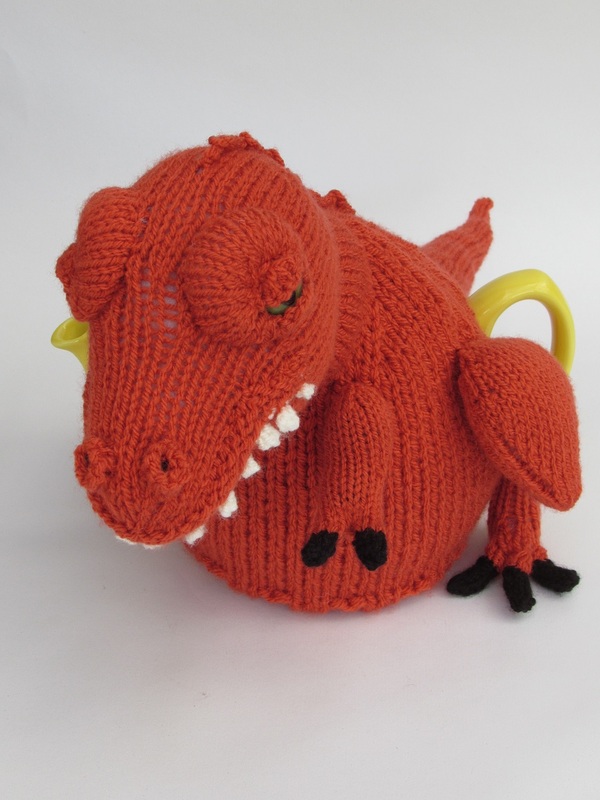 This Jurassic tea cosy will not only keep your tea pipping hot but it will keep it safely protected. 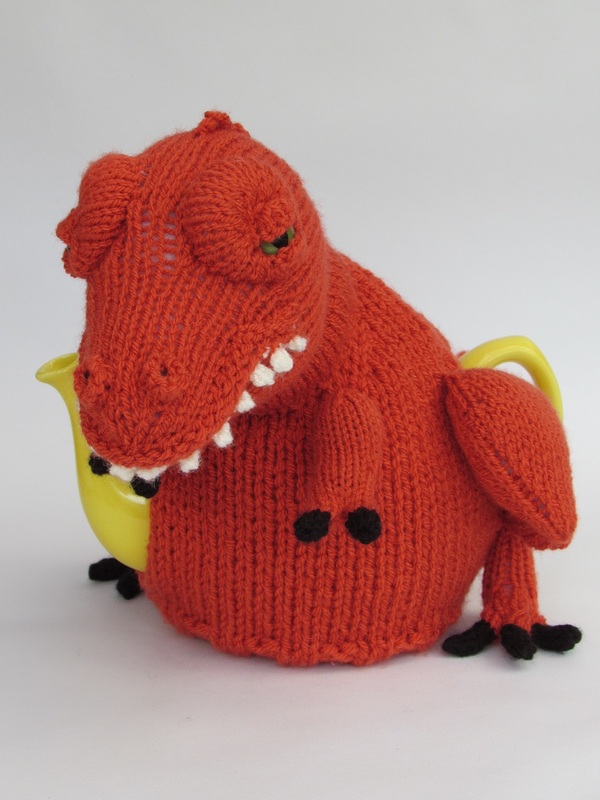 I wanted to design a Dinosaur tea cosy that looked meaty and fearsome, and not cute and playful, so I chose to base the design on a tyrannosaurus. 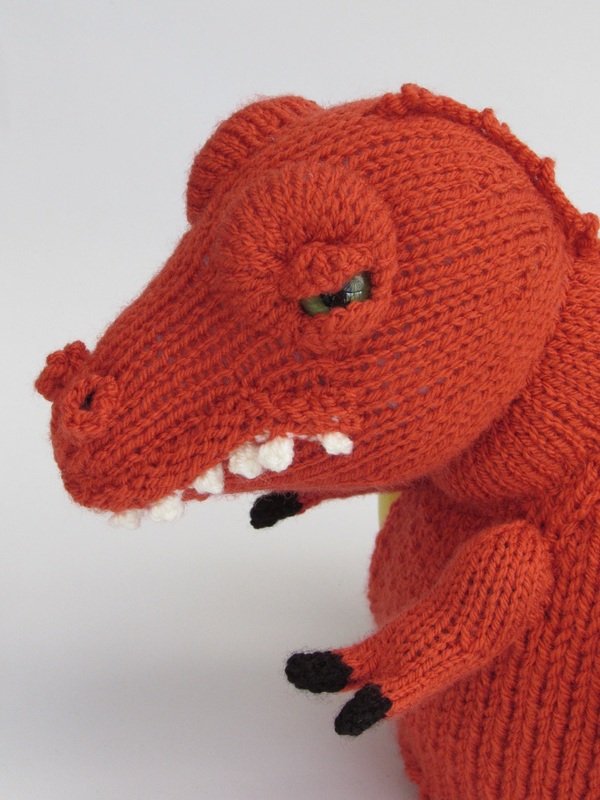 It was tricky getting the eyes right, but by giving him eye lids to reduce the eyeball to a slit makes the tyrannosaurus a sly and evil look. 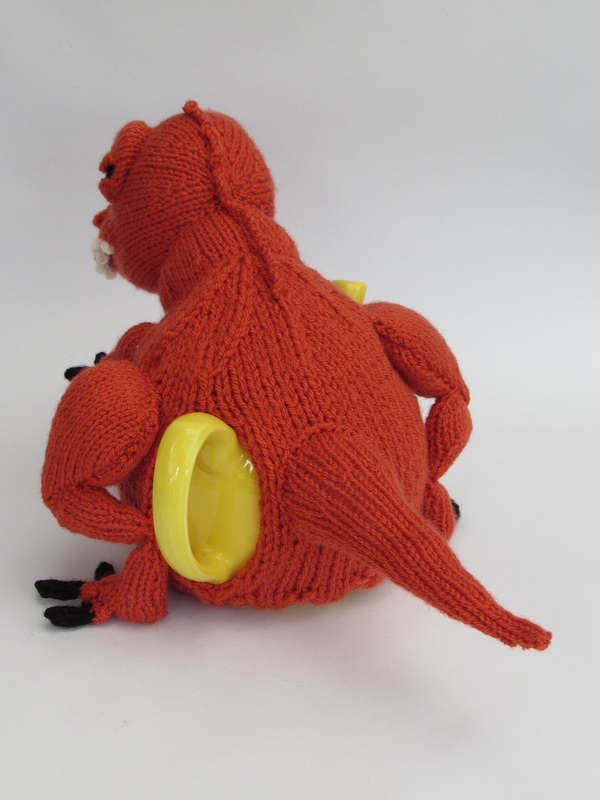 I researched as much as I could the 'arms' and legs, and I have tried to keep true to how scientists believe that the T-rex looked. 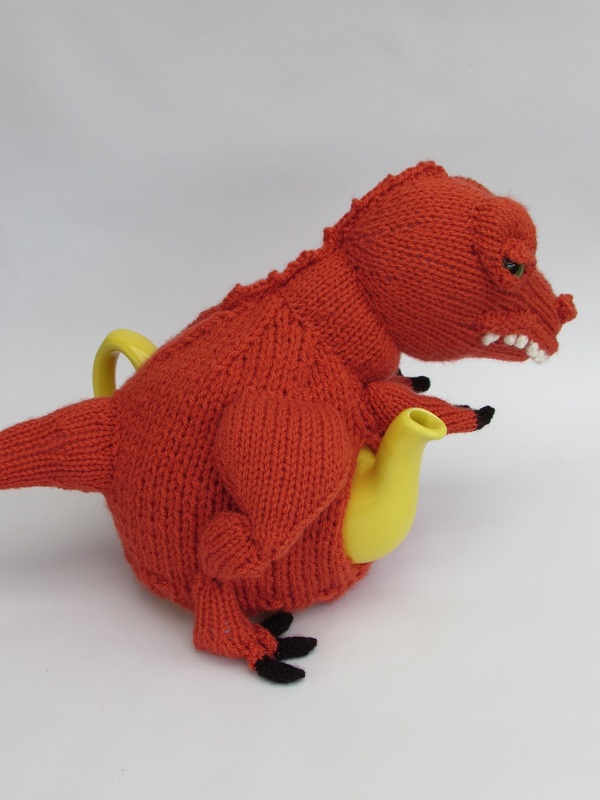 Pretty tricky with just knitting. 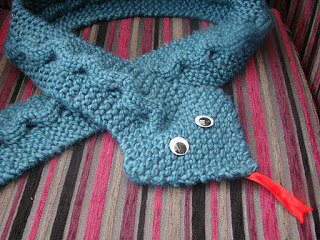 The eye is an 18mm safety eye that is actually a cat's style eye with a slit pupil. 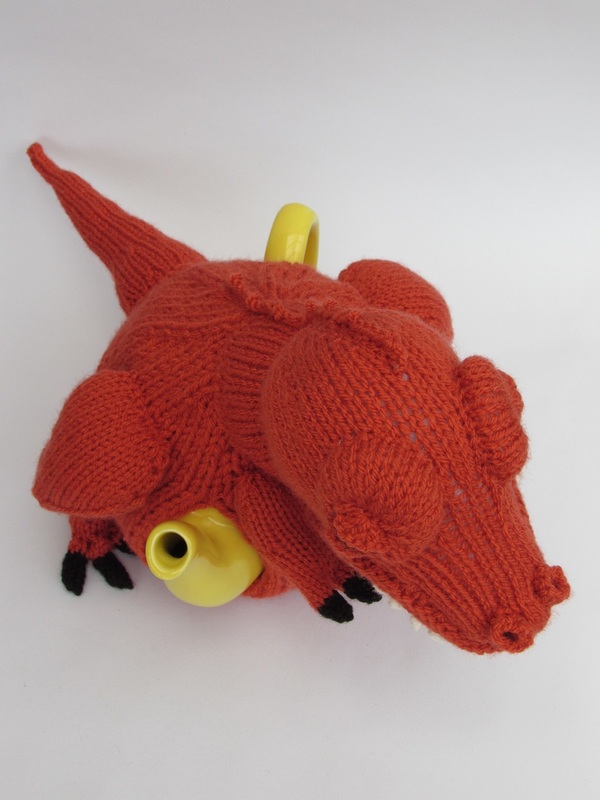 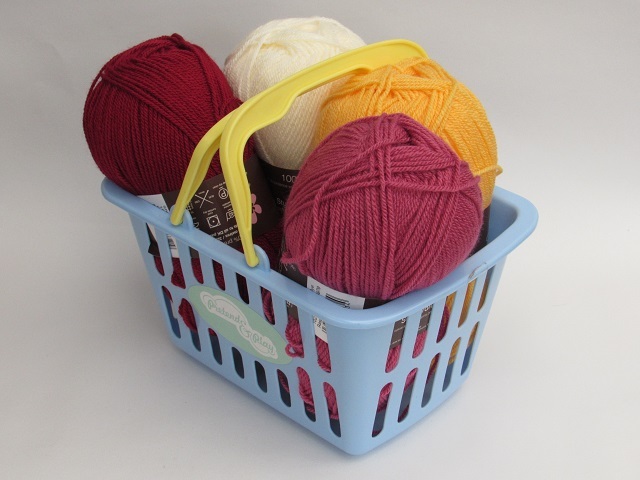 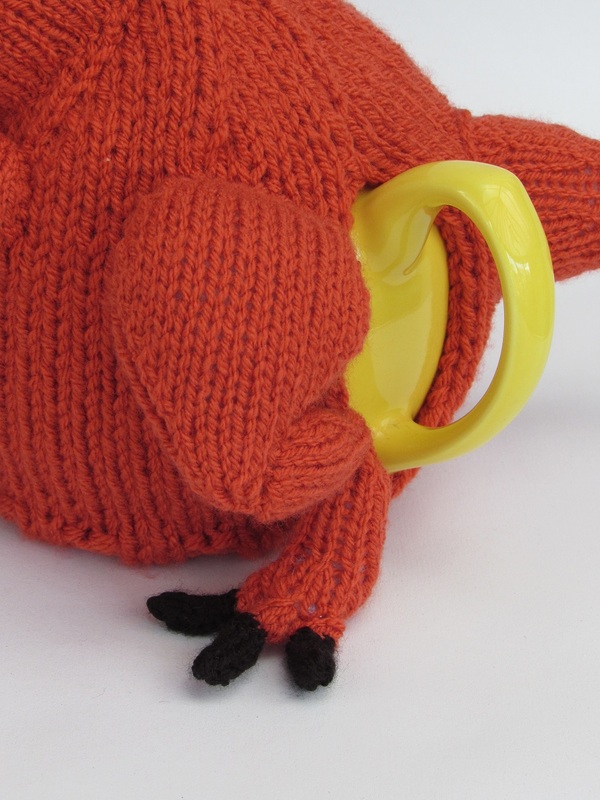 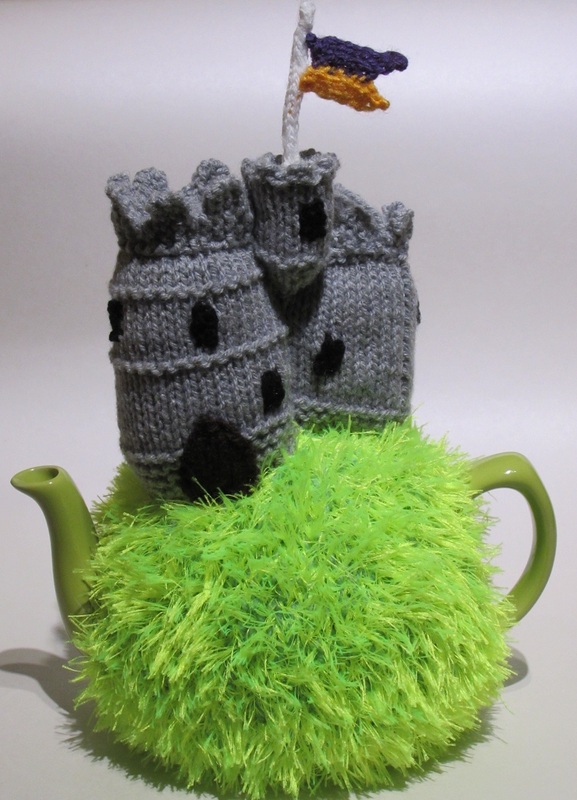 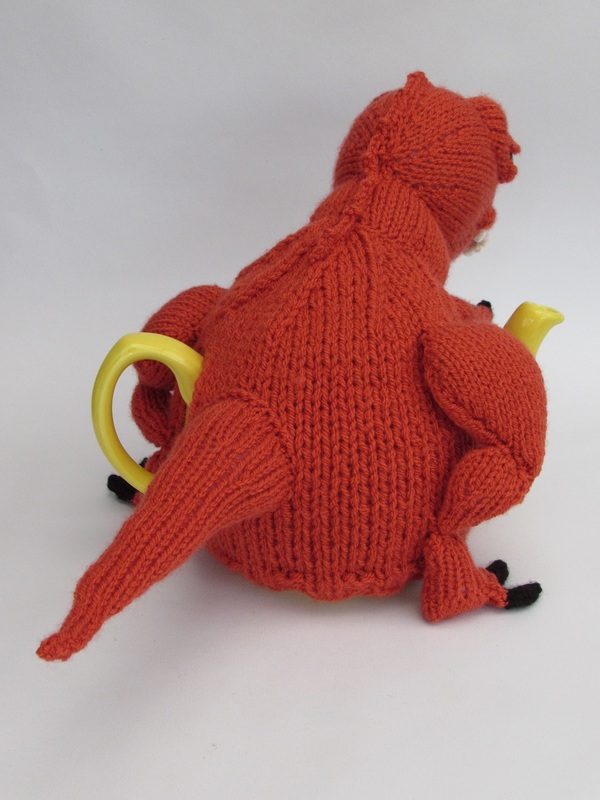 I designed the tea cosy with a burnt orange colour, but it could be knitted in any colour. 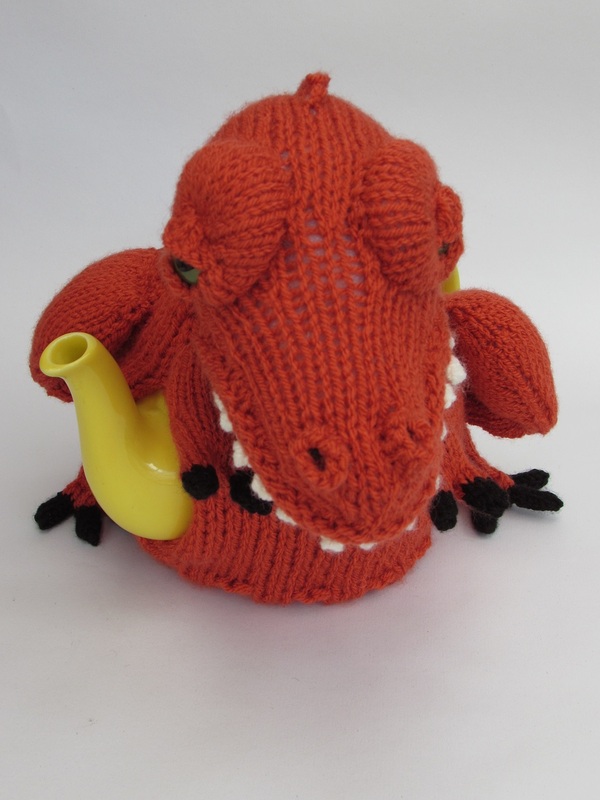 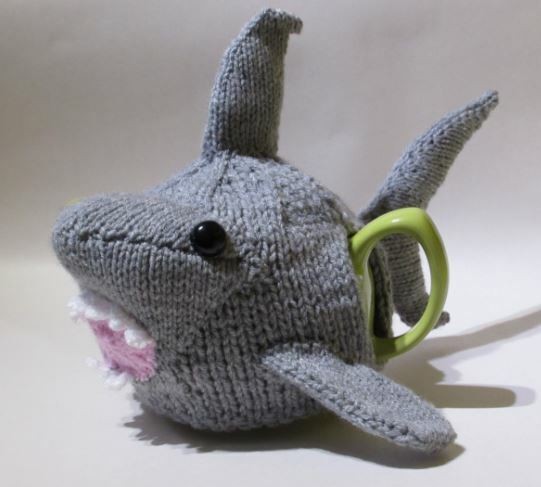 Overall I think this tea cosy is pretty mean, and he is fun to make. 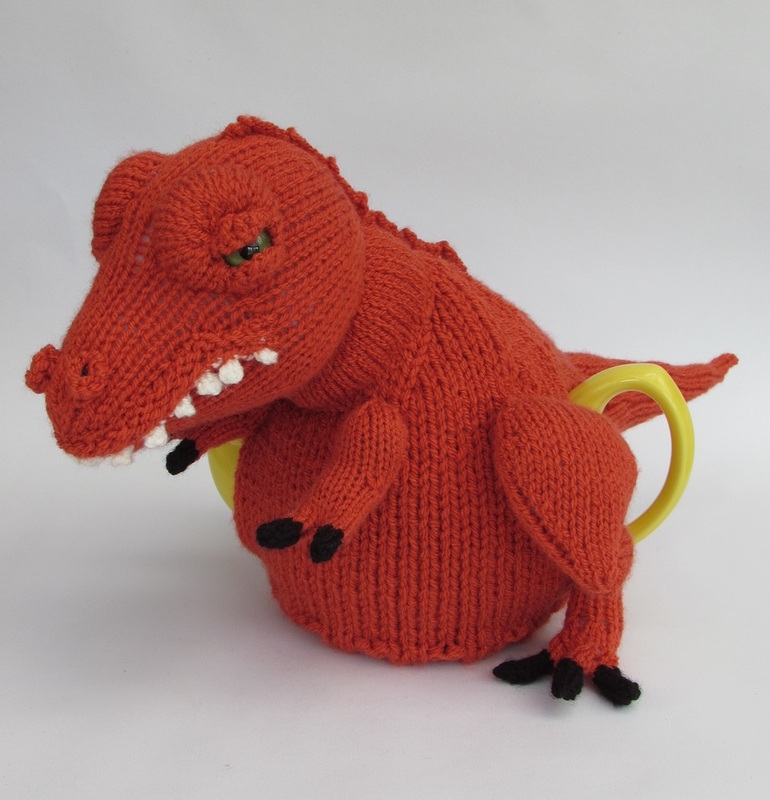 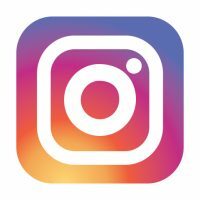 To be honest, if you ask, which is the first dinosaur that people name? 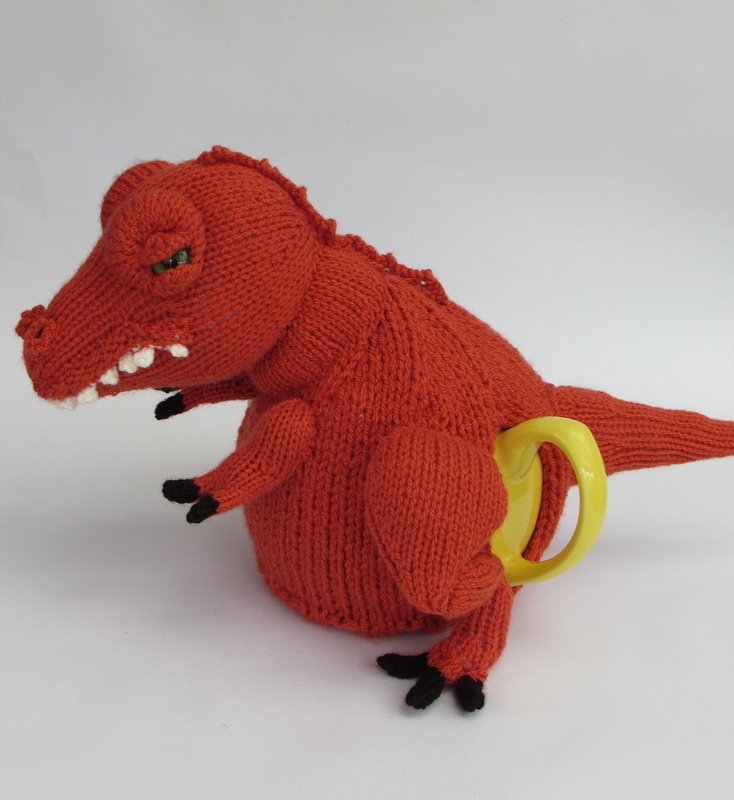 Tyrannosaurus, the king of the dinosaurs.